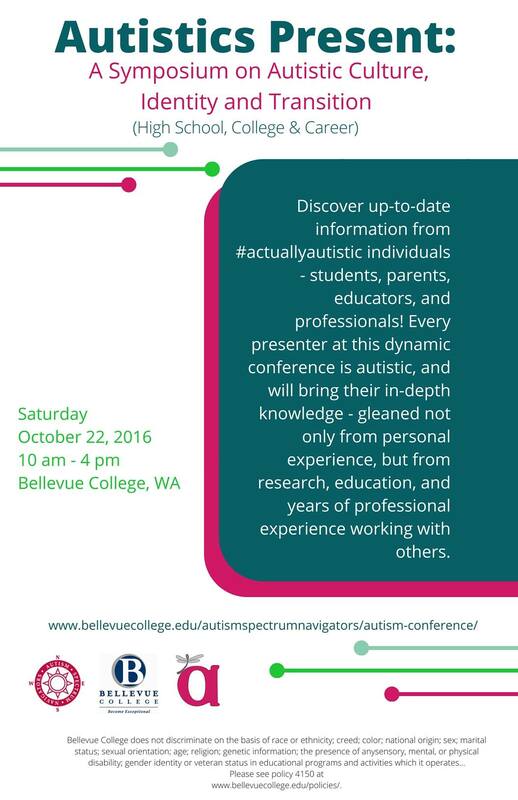 Sooooo… I have registered to attend Autistics Present: A Symposium on Autistic Culture, Identity, and Transition (High School, College & Career) on October 22, 2016: an exciting conference being organized and hosted by Bellevue College’s Autism Spectrum Navigators, a program of the Disability Resource Center, in partnership with the Autism Women’s Network. I am so excited about this conference – and I love that it is actually one at which I am NOT able to participate as a presenter. This is a reclamation of space and an important and political act of decolonization of Autistic voice. I need to be there to support this – to witness – to be along side as a co-conspirator and as a privileged professional/parent who can too often be (mis)granted ‘expert’ status on the experience of being Autistic – a Neurodivergence I do not share. This is a chance to show up – and be quiet – and support the amplification of the people with the lived experience and acknowledge that they are experts in their own lives. To begin can you introduce yourself and share what is important to know about you? 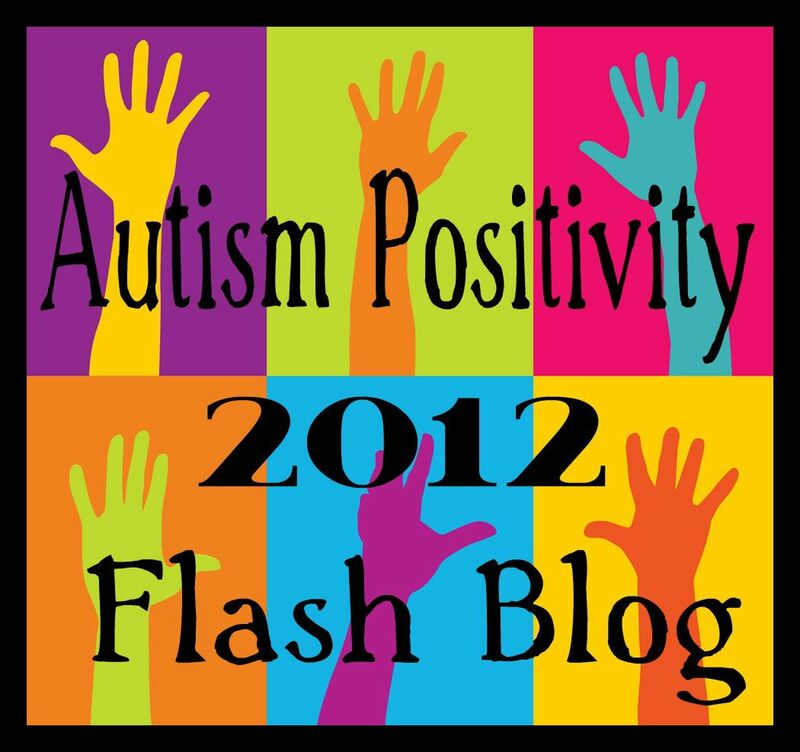 I’m Sara Sanders Gardner – I was diagnosed as autistic fourteen years ago at age 41. Learning that I was autistic came as a great relief to me, as suddenly so many things made sense and I started to understand myself for the first time. Is there anything else that is important we know about you? My intense interest in learning about autism led me to my current work! When I lived in Southern California, I worked with families of autistic children who were my son’s age – teaching parenting classes, running support groups, and advocating at IEP meetings. When we moved to Seattle for my son to attend college, I was drawn to a pilot program at Bellevue College that was looking into how to best serve autistic students. When the pilot program was over, they retained me to develop and direct what is now the Autism Spectrum Navigators program, serving over 100 students! The Autistics Present Symposium is a spectacular and ground-breaking concept – one that I have heard people speak of as a longed-for possibility – but you have made it happen. Do you remember the moment you decided to undertake this project? Can you share what first sparked the idea for the conference and what makes this so important? It came out of my desire for there to be a conference that was uplifting and positive in its representation of autistic people. I love to learn about autism, and want to stay current in the field, however, whenever I attend a typical autism conference, I come away drained and feeling down because of the microaggressions that are spoken against autistic people, and because of the focus on ‘helping autistic people “fit in”. 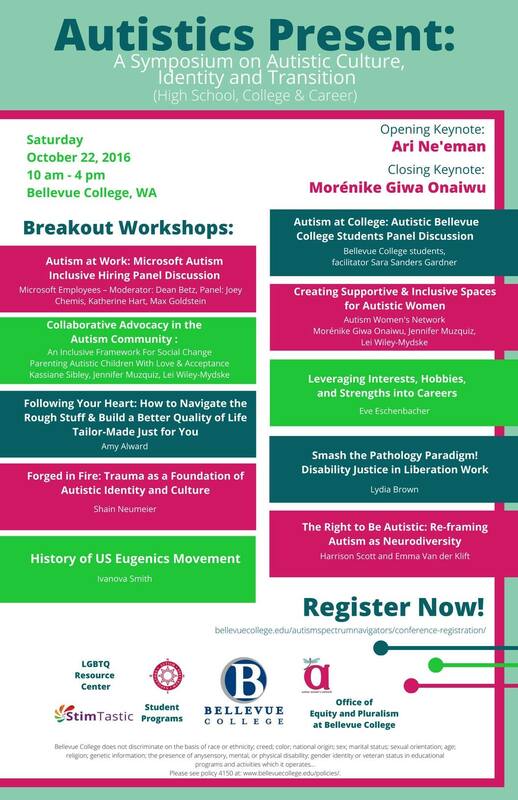 In addition, I wanted to provide a conference for professionals, educators, and others to learn from the actual autism experts – autistic people themselves. I think we’ve accomplished that with this conference lineup of speakers! Is there anything else you would like to say or that you think is important to add? Yes! Although I get “credit” for designing and developing the Autism Spectrum Navigators program, I couldn’t have done it without the influence of autistic people from across the world. They, along with our students, inform my thinking and decision-making regarding program protocols. When the program first started, I had quite a bit of internalized ableism, and through the years, I’ve been able to move further and further away from ableism, to the benefit of the program and our students, due to the leadership and activism of my autistic peers. Autistic community is so important, and we need access to it – another reason for this conference, and for the ASN program! This entry was posted in Autism, Autistic, Autistics Present Conference and tagged Ari Ne'eman, Autism Women's Network, Autistics Present Symposium, Bellevue College, Bellevue College Autism Spectrum Navigators, Conference, Dear teacher: A letter from Harrison, Emma Van der Klift, Harrison Scott, Jennifer Muzquiz, Kassiane Sibley, Lei Wiley-Mydske, Lydia Brown, Morénike Giwa Onaiwu, PACLA, Parenting Autistic Children with Love and Acceptance, Sarah Sanders Gardner, Shain Neumeier, The Right to be Autistic. Bookmark the permalink. Yay H. Have a great time, it sounds wonderful! Thank you! I expect it is going to be amazing. I just wish I could see all of the sessions.